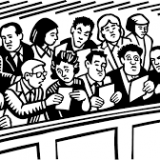 Home » Evidence » “Inconsistent” jury award requires a new trial. “Inconsistent” jury award requires a new trial. On November 26, 2015, a judge of the BC Supreme Court ordered a retrial in a personal injury lawsuit after a jury awarded special damages but denied the plaintiff damages for his non-pecuniary loss. In Harder v. Poettcker , 2015 BCSC 2180, the plaintiff requested a jury trial after suffering injuries in a motor vehicle accident. The jury found the plaintiff 85% at fault for the crash and awarded a total $5,100 in damages (all based on out of pocket expenses) and then awarded nothing for non pecuniary damages. After applying the split of fault this left an award of $765.